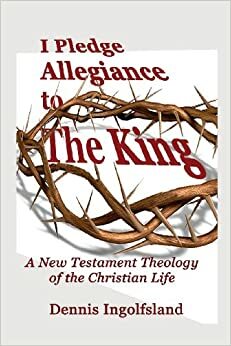 After attacking the work of Birger Gerhardsson in chapter two of Jesus before the Gospels, Bart Ehrman then focuses on the work of Kenneth Bailey. From decades of work in the Middle East as a missionary, Bailey observed that small villages would tell and re-tell the stories of their community’s history. Only the most knowledgeable and senior members of the community were allowed to tell the stories. They had some degree of freedom to tell the stories in their own words, but the core of the stories had to be accurate or it was considered shameful, and the community would correct them in no uncertain terms. Bailey argued that this model would explain what we see in the Synoptic Gospels in which the core of the stories are the same, but minor details vary from Gospel to Gospel. 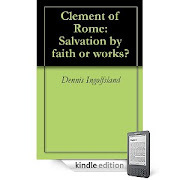 Ehrman argued that there was no evidence to show that early Christian communities functioned that way (72-73). Ehrman is right that there is no direct evidence for Bailey’s theory from Jesus’ time, but the value of any hypothesis is its explanatory power—and Bailey’s hypothesis has a lot of explanatory power. Some scholars would argue that Bailey’s theory (especially as refined and elaborated by James Dunn in Jesus Remembered) makes sense of what we see in the Synoptic Gospels better than any other theory ever proposed. At least Bailey’s sources come from Middle Eastern culture and relate to the transmission of history, unlike the Form Criticism model, on which Ehrman seems to rely, which was developed from relatively modern studies on how German folklore was transmitted! And although the apostles remained headquartered in Jerusalem, that doesn’t mean they never left. Church leaders like Peter, John and Philip traveled throughout the region as well, ministering to churches as they went (Acts 8:25-26; 9:32-38; 10:24). When the church in Antioch got large enough, the apostles sent a representative (Barnabas) to oversee the church (11:22) and when a dispute broke out, representatives from Antioch went up to Jerusalem to discuss the issue with the apostles (Acts 15:1-4). 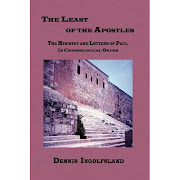 In fact, after his second missionary journey, even Paul may have given account of his ministry to the apostles in Jerusalem (Acts 18:22). In other words, unlike some ancient version of the telephone game, the earliest church had apostles, teachers and other eyewitness who were able to keep the stories of Jesus from wildly spinning out of control. If someone was preaching things about Jesus that wasn’t accurate, there were apostles and eyewitnesses who would certainly correct the story. Possibly when someone tells a story, someone else corrects him. In fact, that seems more than likely: it almost always happens when one person tells a story that someone else knows. Does this group context for telling the stories ensure that they are accurate? Actually, modern psychological studies suggests that just the opposite is normally the case” (Ehrman 75). Ehrman says that cognitive psychologists have discovered that “when a group ‘collectively remembers’ something they have all heard or experienced, the ‘whole’ is less than the sum of the ‘parts” (75). In other words, if you interview ten people separately, you will get more information than if you interview them as a group. As proof, Ehrman cites “Collaborative and Social Remembering” by Rebecca Thompson (chapter 9 in Memory in the Real World by Gillian Cohen and Martin Conway, 3rd ed. New York : Psychology Press, 2008). Citing other research, Thompson stated that nominal groups (groups in name only, in which responses from individuals are added together) did better than collaborative groups (those that actually worked together as a group). Both groups did better than individuals. But Bailey is not talking about eyewitnesses collaboratively working together to remember something. Bailey is taking about someone retelling a story of a community’s history to a group that already knows the story well and is in a position to correct the story if the storyteller makes a mistake. Ehrman seems to be comparing apples to oranges. Significantly, Ehrman leaves out a couple of other important aspects of Thompson’s article. First, one of the studies cited by Thompson found that when “when collaborating, individuals encoded to-be-remembered items together (in an episodic task) and they actually outperformed the nominal groups” (Thompson, Memory in the Real world, 260). Episodic memory is “recalling things that happened to you personally” as opposed to semantic memory which “involves factual information about the world, quite apart from whether you have personally experienced it” (Ehrman 18). In the case of Bailey’s theory, we are talking about episodic memory, i.e. personal memories of Jesus by the apostles or other eyewitnesses. So by way of application, if the apostles jointly remembered the words and deeds of Jesus during the 40 days they were together before Pentecost, that would increase their memory even above that of a nominal group. Second, Thompson says “The accuracy of collaborative output has been detrimentally affected in certain situations and improved in others. Using a simulation of a police interrogation, Stephenson et al. (1986) reported an overall higher accuracy of the collaborating groups’ performance compared to individual performance” (Thompson, Memory, 253). The “higher accuracy of the collaborating groups’ performance” seems to contradict the Ehrman’s negative assessment of Bailey. But all of this is actually a moot point. Ehrman began by asking, “Does this group context for telling the stories ensure that they are accurate? Actually, modern psychological studies suggests that just the opposite is normally the case” (Ehrman 75). As proof, Ehrman cites a quote from Thompson’s article that pertains to the amount of information groups or individuals remember but says nothing about the accuracy of what they remember. For some reason, Ehrman didn’t quote from the part of Thompson’s article that addresses accuracy. For example, in one of the memory tests that showed lower accuracy, groups of people were shown a picture of “a common household scene, containing a variety of common objects.” They were only allowed to look at the picture for 15 or 60 seconds. When the groups collaborated together to recall what they saw, one member of the group deliberately “recalled” objects that were not there. This negatively affected the accuracy of the group’s memory as some of the other adopted that false memory (Thompson, Memory, 254). One really has to wonder, however, whether 15 and 60 second showings of a picture in an artificial experiment for which nothing is at stake and in which false information is deliberately inserted, is analogous to memories of the life and teachings of Jesus by disciples whose lives were on the line. After all, Jesus had just been executed—his disciples had every reason to be concerned they could be next! Not only that, but an experiment in which people are asked to recall details of pictures of common items they had seen for less than 60 seconds, is certainly not comparable to the rememberances of Jesus’ apostles, or other eyewitnesses of Jesus (like some of the women) who traveled with him for up to three years and heard him preach, teach and explain the same or similar things over and over and over again! Besides, Thompson’s article presented no indication that the overall memories of the pictures were inaccurate, only that a few details had be deliberately inserted. Although Ehrman didn’t cite this part of Thompson’s article, it is important to keep this study in mind when you read of psychological studies that supposedly demonstrate the unreliability of memory. “But there are bigger problems with group memories. They are often more frail and faulty than individual memories—just the opposite of what you might expect. For one thing, if one person—say, a dominant personality—injects into the conversation an incorrect recollection or ‘distorted memory’ that others in the group do not remember, they tend to take the other person’s word for it. As one recent study has shown, ‘The misinformation implanted by one person comes to be shared by the group as a whole. In other words, a collective memory could become formed around misinformation. Misinformation shared by one person may be adopted by the rest’ (Ehrman, 75-76). As an example, Ehrman cited a study that “found that 65 percent of the participants actually changed their views because of social pressure exerted on them (not necessarily consciously) by the group as a whole. About 40 percent of these errors were ‘persistent,’ that is, they became ‘permanent’ memories of those who actually did not at first have them” (Ehrman 76, citing Micah Edelson, Tali Sharot, Raymond Dolan, and yadin Dudai, “Following the Crowd: Brain Substrates of Long-Term Memory Conformity,” Science 333 (2011: 108-111)). In this test, 30 participants were shown “an eyewitness-style documentary on a large screen in groups of five.” Three days later they took a memory test. Four days after that, they were given the same memory test, but this time they were deliberately misled, being told that four others in the group gave a different answer than they had. One week later they were given the same memory test again, but first they were accurately informed that they had been misled about the group’s answers. The result was that the “participants conformed to the majority opinion in 68.3 +_ 2.9% of the manipulation trials, giving a false answer to questions they had previously answered correctly…When the social influence was removed (test 3), participants reverted to their original correct answer in 59.2 +_2.3% of the previously conformed trials (transient errors) but maintained erroneous answers in 40.8% (persistent errors). (Edelson et al., 108). The experiment demonstrated that social pressure can lead people to conform to the group. In the case of this experiment, the social pressure came when some test subjects were deliberately misled about answers from others in the group. No one argues, however, that intruders had infiltrated the group of apostles and deliberately inserted false memories of Jesus, so this experiment has little if any relevance to Bailey’s theory. On the other hand, the social pressure discovered in this experiment is a double-edged sword that could cut both ways. In the experiment false information was deliberately communicated to the participant. Apart from an artificially concocted experiment, a more likely scenario would be that someone in a group mis-remembered something she saw and the group corrected her. The social pressure from the group may actually cause her to conform to the group’s accurate remembrance. This seems much more analogous to the scenarios proposed by Bailey in which everyone in the group knows the story so if the one telling the story changes the story significantly, the group will correct him. In real life scenarios in which people are motivated to get the story right (these early Christians were, after all, basing their lives on accurate rememberances of the ministry and teachings of Jesus), it would seem that the social pressure may have actually served to preserve the accuracy of the stories of Jesus. Ehrman’s conclusion that, “It seems that the idea of a group ensuring the accuracy of traditions is not psychologically defensible” (76), is simply not warranted by the psychological evidence he cites in Edelson’s article. These, of course, are not the only studies of eyewitness memories cited by Ehrman. I’ll discuss more of them in the next post. Bart Ehrman's "Jesus before the Gospels"